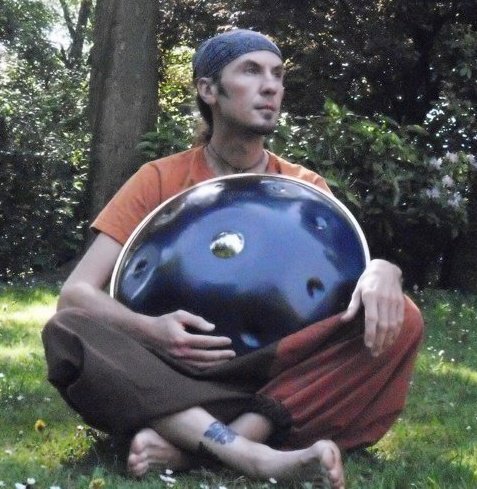 Curt Ceunen is a multi-instrumentalist composer from Belgium who creates his own unique and innovative approach to world fusion music. Blending different musical traditions and styles of all the continents with several instruments, sometimes played simultaneously. Playing music since his earliest age, the passion and hunger to discover new sounds and possibilities made Curt travel a lot and played in many bands as well as an established solo artist. Some kind of energy shift occurred in 1995 when he discovered the didgeridoo. The timeless sound and vibes that this instrument unlocks was the start of a new musical journey. This mixed with his passion for history made him start playing all kind of drone instruments including flutes from all around the world and bagpipes in particular. 2005 was the year he discovered the Hang. It took several years before he found one for himself. Soon after that he started to play hang and didgeridoo simultaneously which made his trademark sound and favorite instrumental combo. Playing all over Europe and beyond in concerts, festivals, events,wedding or private parties. His favorite occupation is still traveling while playing music … a 21 st century troubadour.